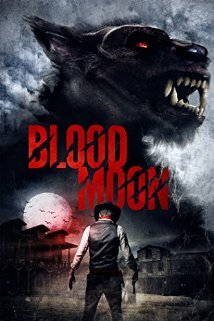 2014/2015’s film “Blood Moon” is not one of those that is done particularly well. The writers of this film appear to have taken every possible generic Western-genre stereotype, just about every creature feature genre stereotype, and crammed them all in a blender and dumped out the result onto a roll of film. It is bad. Hilariously so, though I don’t think it’s quite intentional. It takes itself entirely too seriously to be self-aware of its own humor.